The Cassidy’s listed on this web site originated from County Donegal, specifically the Donegal Town area, located in the southeast section of the county. Within the Donegal Town area, our branch of Cassidy’s stemmed from four townlands: Aghlem (Aughlem), Clogher, Drumbar, and Leghawny (Leghowney). Nearly all the Cassidy relatives featured in this web sitecan be linked back to one of these four townlands. The information contained within these pages spans seven generations and more than 200 years. The furthest our branch of Cassidy’s can be traced is to brothers William Cassidy and John Cassidy, both of Drumbar. These brothers have produced two different lines of Cassidy’s featured on our web site. William Cassidy, the oldest known Cassidy, was born in 1799 in Drumbar and was married, although his wife’s name is unknown. Right now we only know of one child that William and his wife had — Francis Cassidy, born probably in the 1820s or 1830s. Francis Cassidy married Annie Kelly and had eight children, most of whom married and had children of their own. Unfortunately, portions of this side of the Cassidy Family Tree are incomplete. Many branches of the William Cassidy line stretching to the present day have hit dead ends. There are potentially hundreds of William Cassidy descendants that have not been accounted for on this site. Our hope is to gather this information as our work continues. John Cassidy, the only known brother of William Cassidy, was born in 1802 in Drumbar. 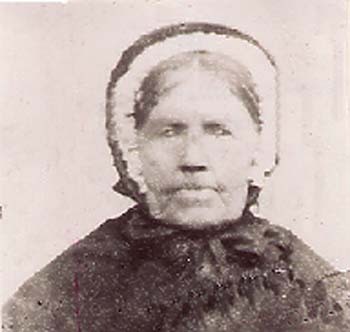 He married Kitty McGinty of Barnesmore, a townland just outside Donegal Town, and moved to Clogher where they had six children between 1835 and 1851: Francis, John, Hanna, Jane, Sara Ann, and Hugh. Of the six children, we have so far gathered information only on the descendants of Francis and his wife, Sally Freel (Friel); and Hugh and his wife, Mary Ann Kennedy. (Jane married Patrick Meehan, and Sara Ann married Brian Meehan, but nothing is known of their children). To date, we have identified more than 115 descendants of Francis Cassidy and Sally Freel spanning five generations. Some immigrated to the United States around the 1910s and 1920s. Others still reside in Donegal. Descendants of Hugh Cassidy and Mary Ann Kennedy amount to nearly 120, spread across Ireland and North America. All totaled, the descendants of the two lines — the brothers William and John Cassidy — make up nearly 350 of the names found within the pages of the Cassidy Family Tree. Still, this is only a fraction of the total number of descendants of these two brothers. Hopefully we will be able to identify more descendants as the years go on. 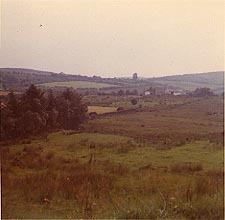 A few miles outside Donegal Town is the townland of Leghowney, where many of the Cassidy’s included in this family tree originated. Many of the Leghowney relations included Cassidy’s, Devlin’s, Slevin’s, and Murphy’s. The oldest branch of Leghowney Cassidy’s, that we know of, begins around the 1810s with the birth of Edward Murphy in Leghowney. He married Margaret Cassidy, born in 1814, and had three daughters: Bridget, Margaret, and Mary Ann Murphy. Bridget Murphy, born 1866 in Leghowney, married James Cassidy, who was born in 1854 in Leghowney. Together they had nine children, many of whom immigrated to America in the early 1900s. Some stayed behind in Leghowney and maintained the Cassidy Family Farm through the 1970s. Bridget Murphy’s sister, Margaret Murphy, married James Slevin, also of Leghowney. They had three children: James Slevin, John Slevin, and William Slevin. Unfortunately, nothing more is known about this line of descendants. As mentioned, Bridget Murphy’s husband, James Cassidy, was also born in Leghowney. His parents were Frank Cassidy and Mary Devlin, both born in Leghowney . Frank was likely born around the 1820s and died around 1890 in Leghowney, while Mary Devlin lived from 1827 to 1897. Frank’s brother, Hugh Cassidy, was born and raised in Leghowney. We don’t know Hugh’s wife’s name, but we do know they had at least one daughter, Katie Cassidy, born probably around the 1840s or 1850s in Leghowney.